SunButter has more than 15 years of successful growth in the retail sales market, distributing to grocery, health food and specialty stores nationwide. Over 60% of schools restrict peanut products or forbid them altogether. Stores that carry our products offer families a delicious peanut free, school safe alternative to peanut butter. 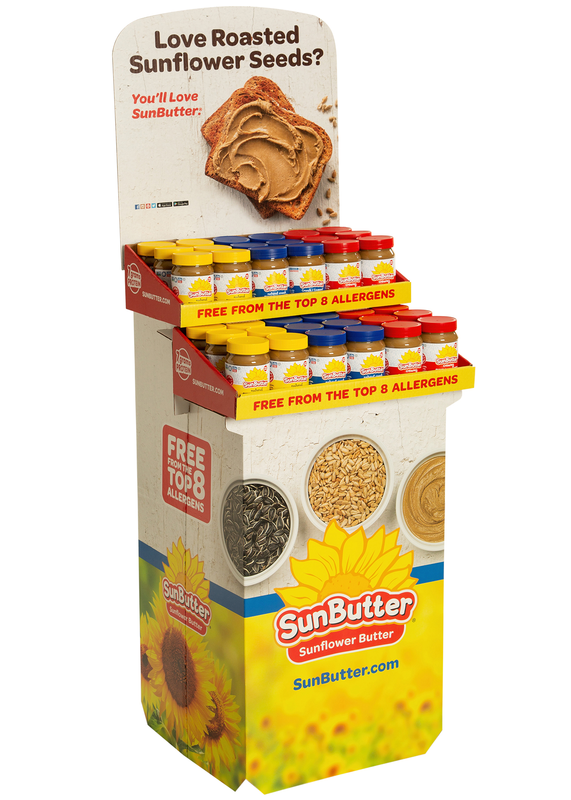 SunButter is served in schools nationwide as part of their school foodservice programs – it is the peanut free, school safe spread that is recognized and trusted by schools and families. Retail sales are supported by strong consumer marketing support through social media, food allergy focused media and events, point-of-purchase materials, recipe books and more.